Describe your role in 3 sentences: Keeping families connected with the info they need to participate in our programs. Creating materials for the many types of communication we use: mailing, social media, outreach. 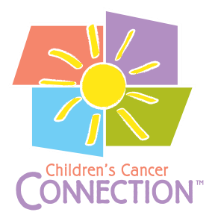 Brainstorming with my other amazing coworkers to come up with future tactics to better spread info about Children's Cancer Connection. Describe yourself in 3 words: Caring, Loyal, Sarcastic. One talent/skill you wish you had: To understand science wayyy better than I do. Then I could make a rocket and travel to other planets! Random fact: I have broken 3 bones in my life....all from falling down different flights of stairs. Super clumsy. Also I hate French Toast.